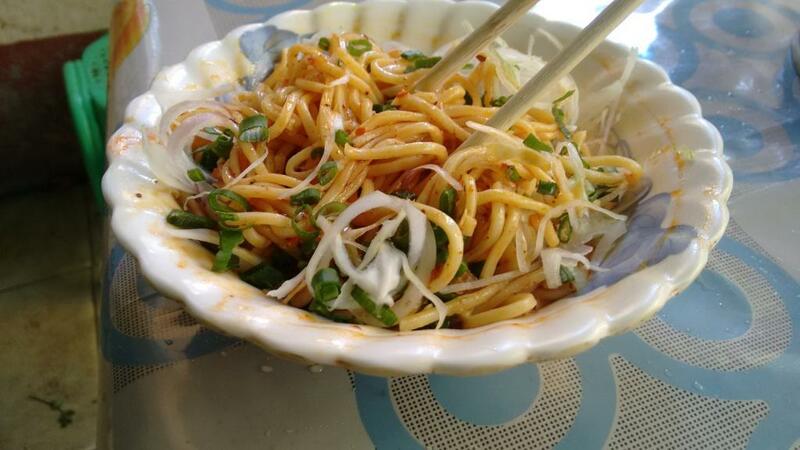 It is not difficult to eat Burmese street food on a tiny budget. 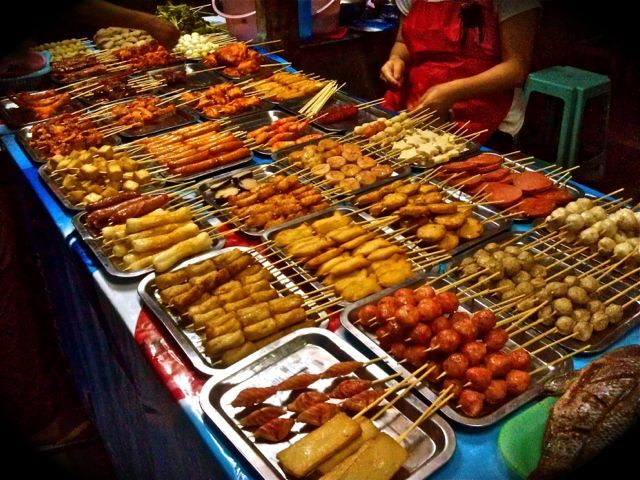 However, don’t expect to be losing any weight on your trip through Burma as there is so much amazing food under $1. Travel to Myanamar to enjoy it! Burmese people have breakfast from a time so early that some will call it late dinner snack not breakfast! Typically, breakfast is served from 4am till about 8am or 9am (or till they sell out). Forget your budget and try a Chinese& Indian fusion meal for breakfast. 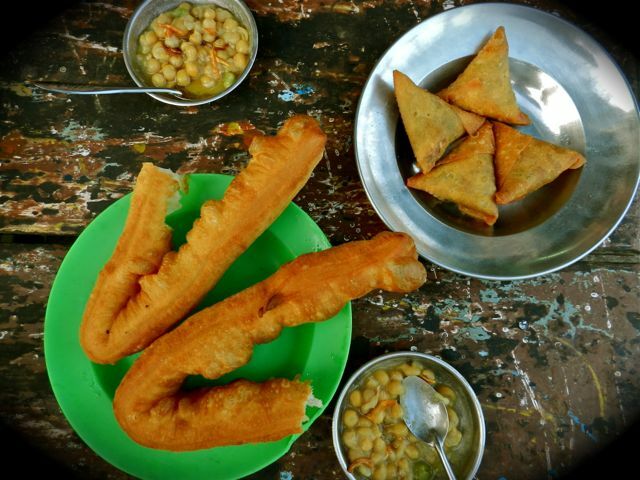 It will cost you about 100 kyat for a samosa and 200 kyat (23 cents) per doughnut. 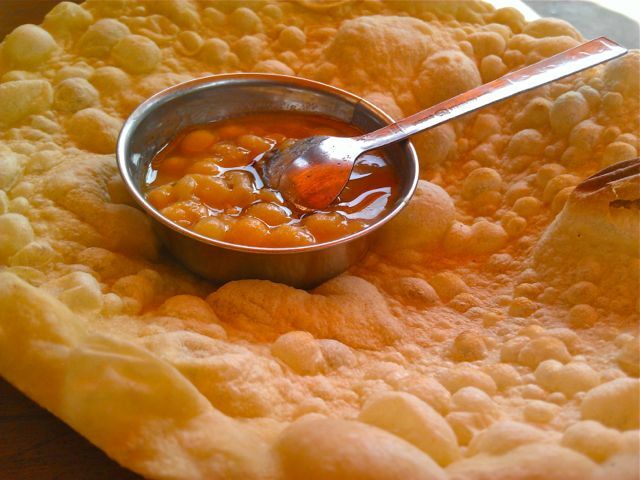 From 5am to 9am, many tea & coffee shops in town have these dishes left out on their tables, you can eat as many as you like and then they will count up have you pay for the total. For a flavor bonus, let’s try dipping the doughnut in some milky tea (about 150 kyat)! From about 10AM till 8PM, with most of dishes being available throughout the day, there is no real differentiation between lunch and dinner time. As stalls will sometimes sell out and close early, it is better to start early (about 6pm) if you are heading out for dinner. 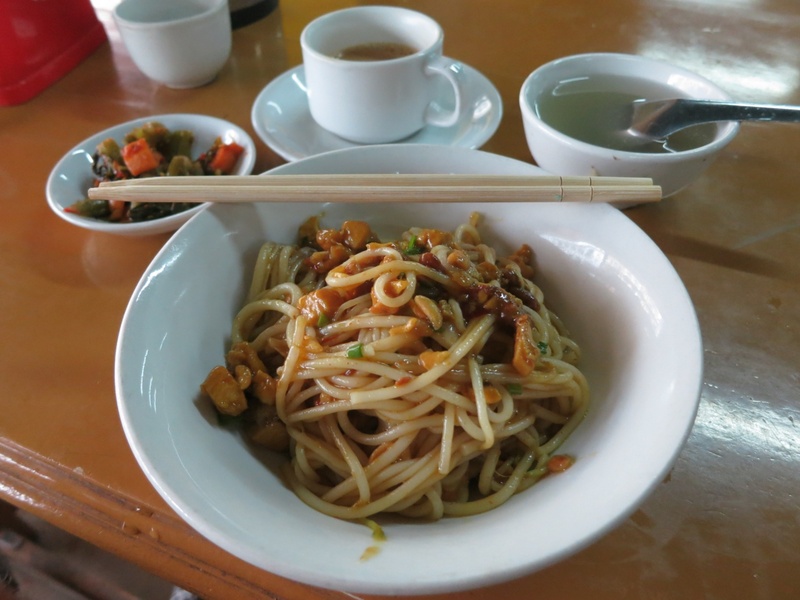 Both on the street and in restaurants, you can find many variations of noodles. Not fried, this style of noodle is boiled and then well mixed with oil and several other seasonings sometimes with a little chicken, or for Yangon’s version, with deep fried crispy onions for interesting crunch! Depending on how long ago the noodles were boiled, they will be served cold or warm. Expect only 300 – 400 kyat (35 – 45 cents). Meeshay is a noodle dish with rice noodles mixed with sauce, which varies but often includes tomato and peanut. Mainly available in central and eastern Myanmar, this Shan dish is served cold for about 300kyat. It is likely that you cannot escape the Shan noodle in Shan State (Eastern Myanmar), but fortunately this noodle soup, normally with chicken or tofu, is usually very tasty with general price ranging from 400 to 700 kyat. Although each vendor serves it slightly differently, accompaniments often include ground peanuts or tomato. In Myanmar, salads are by no means always the healthy option! Normally loaded up with a pool of oil and a large portion of fried soya beans or nuts, all the salads are vegetarian friendly. Ginger Salad: Even if ginger salad is not on the menu, just ask and have them whip it up for you! Tea Leaf Salad: The tea served at the tea plantations tastes best! Often served with garlic on the side, tea leaf salad is also served in miniature as an accompaniment to other main courses. You can see BBQs in every town with two types available, one that use coals, and another that deep fry. In all open kitchen, you can easily check before ordering. Get ready for a deep-fried, calorific, heart clogging extravaganza if you do not see a charcoal grill. Take a plastic basket, put any sticks you want in it: vegetable options are about 100 kyat, meat 300 – 700 kyat, tofu 200 kyat and even a whole fish for 1000 kyat, and then hand it to the chef. Have Burmese show you the way to the street BBQ, it will cost you at least double the price for the ones in proper restaurants. 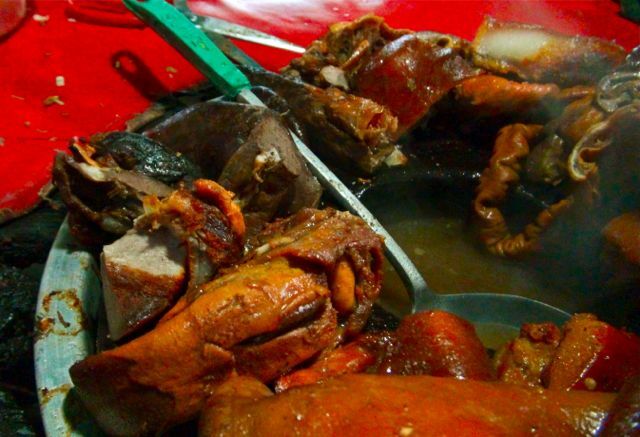 Daring travelers can come and tuck in various organs and meat surrounding a central pot of meat broth all over the places in Burma. A small plate of meat with dip and a bowl of broth is 500 – 700 kyat and some noodles are 300 kyat. Let’s enjoy your own mini fast!